Jay Baer is a renowned business strategist, keynote speaker, and the New York Times bestselling author of five books, including his latest, Hug Your Haters. He is the founder of Convince & Convert, a strategy consulting firm that helps prominent companies gain and keep more customers through the smart intersection of technology, social media and customer service. His Convince & Convert media division owns the world’s number one content marketing blog and the world’s top marketing podcast, both recognized as such by the Content Marketing Institute, and many other educational resources for business owners and executives. Jay has advised more than 700 companies since 1994, including Caterpillar, Nike, Allstate, The United Nations and 32 of the Fortune 500. He is also the world’s most retweeted person among digital marketers. The creator of five multi-million dollar companies, Jay is an active venture capitalist and technology advisor as well as an avid tequila collector and certified barbecue judge. 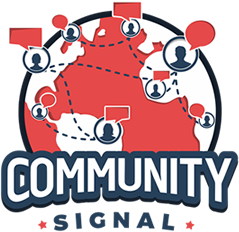 00:04: Welcome to Community Signal, a podcast for online community professionals, sponsored by Emoderation, smart social globally. Here’s your host, Patrick O’Keefe. 00:20 Patrick O’Keefe: Hello, and thank you for making Community Signal a part of your day. This episode will be released on February 29th, and we only get one of those every four years. One of my best friends, Stephan Segraves, was actually born on February 29th so happy birthday, Stephan. Thanks for your friendship. And I don’t know if I’ll ever do another podcast on February 29th, so I wanted to take this opportunity. I actually met Stephan in an online community, The SitePoint Forums, some 15 years ago. We co-hosted the SitePoint Podcast together and Stephan now co-hosts a great podcast about travel, Dots, Lines & Destinations, which you can find at moredotsmorelines.com. He also blogs at badice.com. 00:56 Patrick O’Keefe: And speaking of the SitePoint Podcast, my guest today is someone who I had on that show as well, Jay Baer. Jay is a renowned business strategist, keynote speaker, and the New York Times best selling author of five books, including his latest, Hug Your Haters. He is the founder of Convince & Convert, a strategy consulting firm that helps prominent companies gain and keep more customers through the smart intersection of technology, social media, and customer service. His Convince & Convert media division owns the world’s number one content marketing blog and the world’s top marketing podcast, both recognized as such by the Content Marketing Institute and many other educational resources for business owners and executives. Jay has advised more than 700 companies since 1994, including Caterpillar, Nike, Allstate, The United Nations, and 32 of the Fortune 500. 01:38 Patrick O’Keefe: He is also the world’s most retweeted person among digital marketers. The creator of five multi-million dollar companies, Jay is an active venture capitalist and technology advisor as well as an avid tequila collector and certified barbecue judge. Jay, welcome to the program. 01:52 Jay Baer: My friend, it is fantastic to be talking to you. I’m hoping that because it is February 29th, that there is tequila and barbecue on the show, at least I was told that that is a possibility, perhaps not. Maybe, maybe we could do that. 02:04 Patrick O’Keefe: You can have whatever you want. 02:13 Patrick O’Keefe: I do, I do. 02:15 Jay Baer: For sure. 02:18 Jay Baer: I know you stopped the show but you can never forget an experience like that. 02:29 Patrick O’Keefe: Yeah, I drink a lot of seltzer these days. 02:31 Jay Baer: Are you going to do a seltzer show? 02:32 Patrick O’Keefe: You know, I’ve thought about it really hard. I actually have registered domains for it and everything. We’ll see. We’ll see. 02:37 Jay Baer: You should, you’re so good at it. Now, you’re not good at this, you’re amazing at this ’cause this is what made you, communities. But you’re so, so good at the review stuff, it’s a gift. I don’t know if you fully understand how rare it is to be as good at it as you are. 02:48 Patrick O’Keefe: Well, I appreciate that. And if you read the YouTube comments you’ll see me hugging a lot of haters. 02:52 Jay Baer: Hey man, look, YouTube is the craziest underbelly of anything on the internet. And in the new book which comes out tomorrow so I’m actually freaking out here on February 29th, I recommend that you answer all complaints in the book, that’s the Hug Your Haters philosophy, the Hug Your Haters recommendation, and I mean even in YouTube. But it can sometimes be difficult in venues like that where people are I think truly unhinged. It’s like the orc army has been unleashed on the internet. 03:17 Patrick O’Keefe: Yeah, there’s a different level. Your earliest memories of online communities are the AOL forums. Tell me about that. 03:22 Jay Baer: So I started in the internet business really early ’93, ’94, and that was my first internet company that I founded. I actually, true story, got a job… Some friends of mine had started the very first internet company in Arizona doing dial-up and web hosting back when that was like rocket science. 03:40 Patrick O’Keefe: Yeah, I remember from our SitePoint Podcast chat, your partner there was the guy who figured out shared hosting, right? 03:46 Jay Baer: Yeah. He actually literally invented the algorithm to figure out how to put multiple domains on a box. 03:50 Patrick O’Keefe: Which really empowered a lot of online communities. 03:52 Jay Baer: Oh my God, you think about what the world has become, right? 03:55 Jay Baer: And so, I was working, just like I told you on that show, for The Department of Juvenile Correction. So, my job was to give tours of the juvenile prison. And I was like, “I can’t do this anymore,” and so I went to work for an internet company, having never really been online in any true sense. I’d been on AOL, but not really online, so it was early, early days. And what I remember about AOL chatrooms and forums is really two things in particular. One, the incredible specificity of some of those rooms. It was like this is the chat for people who are left handed fans of vampires who also like college football. It was really, really specific. But yet, it was so thriving in many of those places because there was no other place. 04:35 Jay Baer: Right now, there’s such huge enormous competition for attention. Whether it’s Facebook or Snapchat or Instagram or this or that, or your favorite communities and your favorite forums, there is a very diffuse way to spend your time online. Back then, that was the only game in town. It was like you hang out in AOL chatrooms or you actually exist with people in three dimensions. That was it. It was a light switch choice. And so, no matter how specific and crazy niche the room was, there was all kinds of participation which is amazing, and it’s a remarkable time. In some ways, it was really fantastic ’cause it was so pure in a lot of ways, just from the community spirit side of it. 05:12 Jay Baer: And then the other piece of it that had a real impact on me, I think, for a lot of the ways I think about business and online is just how much work and how much effort admins were willing to do. If you were a chat room moderator, you had a lot on your plate, especially in certain places. And it was, “Look, I’m doing this with a smile. I’m doing it ’cause I love to do it. I’m doing it ’cause these are my people. You don’t have to write me a check. You don’t have to comp my account necessarily. I just do it ’cause I want to do it.” And that idea of really selflessness and service and saying, “I want to do this ’cause I want to do it,” we’ve lost that a lot in business now and it makes me really sad. And I think we can get it back if we just understand, like, “Look, let’s take people who like us and find a way to make them love us.” Customer service is certainly part of that community, is part of it as well, but I really remember the culture of those times more than I remember any other part. 06:04 Patrick O’Keefe: Now, you’re the first marketer I’ve had on Community Signal, first “marketer,” anyway. And I think that’s fitting because not only do I hold you in high regard, but you have a very good sense of community and why it’s important. A lot of people talk about social media, and they say they’re monitoring it and understanding it, but they really only pay attention to a handful of platforms, ignoring the incredible volume of online communities that exist, and you haven’t done that. And I appreciate that someone as visible and influential as you, within your industry, has made sure to include community in the conversation. So thank you for that. 06:38 Jay Baer: It’s my pleasure. I think it’s the right thing to do, not only because I believe that we have, in many cases, forgotten the social in favor of the media, but it makes business sense too. As I talked about it in the book, as you know, the research that I conducted really shows that community and forum and boards, and all that, which of course was the original social media, we forget that, is just an incredibly rich vein of opportunity for marketing. Customer service is the new marketing, and community’s a big part of that. I would like to pause here to recognize our excellent sponsor: Emoderation. I spent some time with Hug Your Haters, and it really is a fantastic book about providing exceptional customer service. So I really do recommend it. 07:50 Patrick O’Keefe: I hope so. I hope so. Let’s get into some of that research. For the book, you and Edison Research conducted a survey of more than 2,000 American consumers, who had complained about a company in the previous 12 months. You asked them about five customer service channels: Phone, email, social media, which is Facebook, Twitter, Instagram, Google+; review sites like Yelp, TripAdvisor, Amazon, et cetera; and then, forums or message boards. The big headline here for me was how responding within these channels boosted consumer advocacy that is how likely they are to recommend that business. You found that when a company responds to a complaint posted in an online forum, they received a greater boost to consumer advocacy than any other channel, a 25% lift, whereas social media was 20%, review sites 16%, phone 10%, email 8%. You told me that, “Forums are a massive opportunity for businesses to connect with their customers and future customers, yet very few businesses spend any time within online communities, except for those that they own or create. Craziness in a big-missed opportunity.” Now, these numbers are going to surprise a lot of businesses, aren’t they? 08:52 Jay Baer: Oh, I think absolutely. If you look at all complaints across all channels. About a third of all complaints are never answered, but the preponderance of those ignored complaints are in public, are in social and review sites and communities. And we really take a step back, as I tried to do in the book, that’s probably the exact opposite of how we should be doing this. Right? Customer service today is a spectator sport in all of these public online channels, and yet we have this edict that we have to answer every phone call and reply to every email, but yet we routinely and in many cases purposely strategically even ignore customer feedback and customer comments in these other channels. When in fact, because it’s public, you might actually be better off answering two-thirds of the calls, and all of the forum comments. But then, of course, that’s not how it happens in practice. 09:40 Patrick O’Keefe: No, it’s not. And you and Convince & Convert advise many companies on how they should monitor social media and respond. Are you telling companies that they should be in online communities, and what sort of reaction do you get? 09:50 Jay Baer: Yes. The reaction you get is, “Why would we do that? That’s a bunch of super nerds, or really specific, or it’s all negative there.” And to which we always say, “Have you actually ever spent any time in any of the communities where your customers are participating, and ask each other questions and interacting?” And even as marketers, the answer is almost always, no. It’s amazing. They fear what they do not understand. But they do not understand it because they simply have spent no time at it. 10:53 Jay Baer: Yeah. Reddit, everything else. Yeah. 10:57 Patrick O’Keefe: 4chan, which is really just… Which is a small… I’m not going to underplay the influence of 4chan, or the amount of impact they’ve had, or whatever. But the stuff that they do is such a small picture of the online forum, that specific landscape. 11:07 Jay Baer: Yeah. It really is. And I was at that talk, by the way. It was very good. 11:10 Patrick O’Keefe: Thank you. 11:49 Patrick O’Keefe: That’s an interesting idea. That really is because let’s just take software, for example. We have three levels: Open source, low cost, and enterprise. So you have the Lithiums, the Jives of the world on the enterprise side, and so… Yeah, but everyone’s kinda operating in their silo, right? Everyone has their customers and their sponsors and their targets, and… Not to say, there’s not cooperation because I think, by nature, community is rather collaborative but that’s a really interesting point. And in your book you actually tell readers to put the book down, go to a search engine, and search for a forum post about their products, and I love that. 12:23 Jay Baer: Yeah, they’ll find stuff they didn’t even know was there. You taught me this years ago that forum posts have so much evergreen value because they’re so specific and detailed that Google loves them. They’re probably not going to be in the first page of search results because of the nature of forums, but when you get back there two, three, four pages, it’s all forum posts. And it’s stuff that’s really, really, really valuable. And so, anybody who is sort of deep in the purchase funnel, deep in the consideration funnel, and/or has an acute customer service need, is not just going to look at the first page of search results. They’re going to go two, three, four pages deep, and that’s where they’re going to see all this forum content and all this community content that could either help your company’s reputation or manifestly hurt your company’s reputation. And, in many cases, organizations are totally blind to that. 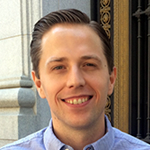 13:07 Patrick O’Keefe: Yeah, and I think with forums there are metrics that are different. I think when you look at something like Twitter, you have these pretty, vanity… Some might say superficial metrics, of likes, retweets, favourites, stars, whatever, hearts. And so, with forums, there’s data there. Views, direct referrers are in there, you can search the forum for mentions, you can analyze the sentiment. The numbers are there but I feel like they’re not as easy and I don’t know if that contributes to this at all. 13:35 Jay Baer: There’s no question you don’t have the same kind of ecosystem around forums and communities that can supply metrics that are packaged in a way that marketers can very easily absorb. You think about something like Pinterest. Now, there’s multiple companies out there that sell software that do nothing other than count Pinterest, that are Pinterest metrics software packages. That is as specific as you get. Same thing with Instagram. Same thing now with Snapchat. So, there really isn’t that on the forums and communities world, partially because each of the forums and community platforms have their own kind of thing. You can’t really do forums and communities horizontal in the same way that you could. So, it is really tricky. And also, what is the unit of measure? 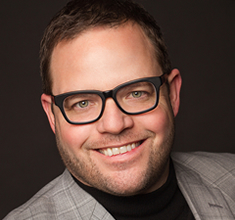 14:20 Jay Baer: Is it mentions? Is it responses? Is it comments? It’s difficult to say this is the killer metric for community, other than sort of the engagement rate and things like that, which is also difficult to get in the forums’ context. So yeah, the lack of metrics doesn’t help marketers’ understanding of the power of these places. And I would say, and I’m sure you agree, most of what marketers do embrace about forums and communities is anecdotal. It’s, “We had this one customer and this happened. And then we said this thing, and this other thing happened.” It’s all story telling. It’s metrics through stories, which isn’t the worst thing in the world, but it’s hard to say, “We’ve got an Excel spreadsheet for all these other things that we do, and then for this one we’ve got some stories.” When you put those together, it doesn’t look great. 15:07 Patrick O’Keefe: Right. And I think, as you kinda suggested, it takes more effort to nail down the metrics in forums. But I think where your book is helping is to say that the effort is worth it. And I want to flip around for a moment and talk about how your research helps really my primary audience who are on the show, which is community professionals. And where I think these numbers can really be helpful for that group is in getting support for community outreach type programs. I’ve been interviewing for a ton of different roles, in much of the last 18 months. And one of the things I really want to do if I take a job is to develop a program where you put some of our smartest people in the online communities we don’t control that serve our customers or potential customers. Not to pitch our products, but just to share their knowledge and expertise. And in the book you cite Spiceworks as an example where companies do this. But programs like that can be a tough sell, and I think the research in your book, speaking to the lift in consumer advocacy, helps make those programs just a little easier to pitch. 16:01 Jay Baer: I hope so, I really do. And I talked about, in my last book, Youtility, I interviewed Sterling Ball who runs Ernie Ball guitar strings and guitars and also Big Poppa Smokers, which is a chain of barbecue accessory stores, mostly online. And he’s really, really big in forums and communities. And he says, “Look, it’s irreplaceable because it allows you to get so close to your customers that you can smell them.” That’s what he says. It’s the only place where you can have relationships with customers that border on intimate. And that only happens in communities and forums. He’s exactly right. The relationships you can have with somebody in a community and a forum, and what you can learn about your customers and their fears and their desires is so much stronger in that environment than on Facebook, or on Yelp, or any of these other things that are equally online but are just different environments. And so, whether you think of forums and communities as a marketing opportunity or not, it sure as heck is a market research opportunity. So, if nothing else, you should be doing it for that purpose. 17:01 Patrick O’Keefe: And a lot of this comes down to expectations. In the book’s introduction, you mention that when it comes to customer experience, yesterday’s great is today’s mediocre. Only 47% of people surveyed expected a response on a forum, compared to 42% on social media, 53% on a review site, 89% via email, 91% over the phone. People expect a response when they email or call you, but not so much when they post on an online community. So what you really have is a chance to vastly exceed their expectations. 17:29 Jay Baer: Yeah. If you call or email, you fully anticipate to hear back. It’s just the social contract, right? I mean, it’s how business has evolved over the last 15 or 20 years since the invention of email. And boards and forums and communities, people don’t necessarily expect to hear back, and if they do, it’s because they already know that a business does respond in that particular forum. And it’s because historically they don’t, right? That expectation is not there because it’s never proven to be otherwise. And so, we talk so much in business now about customer experience. You hear it, it’s axiomatic. Deliver a great customer experience. But what does that really mean? I think what it means is that a great customer experience occurs when you vastly exceed a customer’s expectations. And you can do that in a lot of ways. 18:16 Jay Baer: You can be faster than customers expect. You can be more responsive than customers expect. You can be more friendly or human than customers expect. All of those will work, but I think the easiest one is to actually be more responsive than customers expect. They don’t expect you to answer. So, if you answer, it changes the way they think about your business. And that is a worthy, worthy goal. And in fact in the book, we measured it as you know as we just talked about, it’s a 25% increase in advocacy. If I said, “Hey, here’s the plan. I’ve got a system that will increase the likelihood that your customers will advocate on your behalf by 25%, would you do that?” Of course, you would do that. And I said the only thing you’ve gotta do is every time they say something about you in a forum, you answer back. That’s the easiest formula ever. All you’ve gotta do is put some people on it and pay attention. 19:04 Patrick O’Keefe: Right, it’s funny. And I think it’s something that… It reminds me in the book you talked to Dave Kerpen and he’s an author, he writes books. And he talked about how he responds to negative reviews. And that’s something you do, it’s something I do. I’ve had people tell me that they bought a book because of how I responded to an Amazon review. And I do the same thing with forums or with anything else, because as you mentioned in the book, using Google Alerts is a great way to be notified, at least on a smaller scale of things that are happening. So, I have Google Alerts set up for my book and for my name and for whatever. So, there’s definitely cases where people jump on a forum and just tear me apart. Like, “This is an awful book. Patrick’s a hack. He doesn’t know what he’s talking about,” et cetera, worse. And I’ll just pop in there and say, “Hello, how are you? Thank you for your feedback on this.” And I really respond with the belief that I’m not just responding to this person but I’m responding to everyone who will ever read this, for the next 50, 100, 200 years. However long this forum is online. 20:00 Patrick O’Keefe: And so, it’s really about speaking to that group and once you show up, it’s not always the case, but once you show up, people’s attitudes tend to change, not just people who don’t say anything, but also the people who are in the forum talking about you. The way they talk about you shifts a little bit when they know that you’re actually paying attention and that’s kinda funny. 20:15 Jay Baer: Every single time. You are exactly right. Look customers aren’t always right, fans aren’t always right, readers aren’t always right, podcast listeners aren’t always right, but they all deserve to be heard. And it changes their psychology, no doubt about it, when you actually answer the call, because they don’t expect it. They simply do not expect it or anticipate that somebody will actually respond and respond rationally, that’s the key, right? The worst thing you can do is try to fight fire with fire. And you see evidence of this all the time of course where somebody leaves a negative comment or a negative review, the person gets mad, and they get angry, and they jump in and they say something equally nasty back. And then, it gets into this whole flame war and that is really counter productive. Nobody wins in that scenario that makes you look bad. You have no chance of winning that customer back. And now, all the onlookers realize that you can be gotten and they also realize that you are the kind of person who will get angry, but you’re exactly right about the length of time that that response or that interaction can benefit your business. 21:17 Jay Baer: The atomic half life of a forum post is essentially infinite, right? There is no decay formula there, which is amazing, because it’s the only thing that’s like that. Social media is temporal, it’s gone. To some degree, you could say that if you do a Yelp review or TripAdvisor review or SpiceWorks review or any sort of site that has ratings and reviews, that that rating and review will live on and that’s true. But the way people access ratings and reviews is really different, right? You typically go find the business and then you go through the first couple of pages of reviews and you might look at the first 10 or 20 and that might be an afternoon’s, might be two weeks’ worth of reviews or might be two years’ worth of reviews depending on the cadence of the site, but the chance of you getting all the way to the bottom is really unlikely unless you’re just a super research freak. But because so much of the entry into forums and communities is from Google, it’s from search, it’s deep linking. You get dropped into the middle of this community, having no idea what the context is, having no idea what the community is even about, and then all of a sudden, the first thing you see is this interaction between a brand and a person or an author and their reader. It is really, really powerful. 22:23 Jay Baer: And it has enormous implications for customer acquisition and customer loyalty that never end. It never ever ends. Like you said, it could be five years, it could 10 years, it could be forever. And it’s mysterious to me, it’s mystifying why people have not figured this out yet. Hopefully, even though the book is not about forums and communities entirely, I certainly hope that people who read Hug Your Haters will start to understand the power that they’ve been missing. 23:01 Jay Baer: Or a Yelp review. 23:02 Patrick O’Keefe: Yeah, or a Yelp review for that matter, you’re right. And I’m glad you pointed out, answering angrily is generally not a positive because we see these articles from time to time in the mainstream media where some restaurant, somebody doesn’t like Yelp and/or some other platform, and they’re railing against it. They post snarky reviews. It goes “viral” and everyone says, “Oh, look at that guy, yeah, he sure he got his pound of flesh,” whatever but just my own personal experience here on the Outer Banks, me and my parents. I think it was like a year and a half ago now. We went and rented a house out here as kind of a staycation or vacation type of thing. And so we wanted to watch the Miami Dolphins. I’m a Miami Dolphins fan. So, we wanted to go to a bar that had NFL Sunday Ticket. And I went online. I saw it was in the area. I saw the closest place and I went on to TripAdvisor, I think it was, or yeah, I think it was TripAdvisor ’cause they were the closest place and it was pretty much all there was in that town ’cause it’s a small town. 23:55 Patrick O’Keefe: And I see reviews, bad reviews, and I see the owner getting on there [chuckle] and it was kind of insulting people. And then I happen to see, “Okay, this is the owner’s name,” so I Google him, and his personal Facebook page was there, I opened it. And sure enough, his public Facebook page was him complaining about Yelp and about customers. And we didn’t go there. And the reason we didn’t go there was because of those reviews. ‘Cause I saw those and I said to myself, “Huh.” Well first of all, just in my line of work, I don’t believe in this. But second of all, I always think, “What if that’s me? What if he’s talking to me that way?” I don’t want that. If I have a problem, I want to know you’re going to support me. So, we actually went to a different bar, five miles farther away, which when you’re going 35 miles an hour on these tiny roads, adds up, and we had a good time and we went to this other place, but they literally lost the business from us, a $100 check or whatever it was because of how they’ve responded to that negative review. 24:41 Jay Baer: Well, especially for small business owners, it can be really hard because somebody’s essentially saying that your baby is ugly, and that’s a tricky proposition. One of my favorite pieces in the book is when we interviewed psychologists, and we said, “Hey, what’s the actual implication on brain chemistry, when you’re confronted with negative reviews or negative feedback of any kind?” And they told me that, literally, your brain chemistry changes and it triggers something very similar to the fight or flight response, and your breathing changes, and your heart rate changes, and you actually start to freak out a little bit. So it’s no wonder that small business owners in particular who have a lot emotionally invested in their business, sometimes answer in a really outlandish way. 25:25 Jay Baer: And I think the other problem is that business owners feel the need to be right more than they feel the need to make the customer feel heard. There’s this very pervasive sense, and it happens most often in review sites that, “That’s a bad customer,” or “That customer’s lying” or “That’s not how it actually happened,” or “Your soup was perfectly fine, you’re just a malingerer.” And there’s this belief that what your obligation as a business owner is to point out that the customer was wrong and that the customer’s understanding of the situation was flawed, as opposed to just saying, “I’m sorry, you feel that way. Please come back again.” Right? There’s this need to be right and that is really, really counterproductive. 26:06 Patrick O’Keefe: Yeah, it is. I feel that as, I’m not as big time as you, but my first book came out in ’08, and I started writing it when I was a teenager, and when those bad reviews come in, I can lie and I can say they don’t bother me, but they do bother me. But, yeah, it’s tough. I think it’s something you have to learn over time, to separate yourself from it and, as you said in the book, understand that it’s not you as much as it’s just that experience. 26:26 Jay Baer: I’m much better at it now than I used to be. There were a couple of circumstances where I got reviews on my first book, The NOW Revolution, that I wrote with Amber Naslund, and I had a couple of negative reviews and a couple of negative blog comments about the book and things like that, and I did not handle it well. I went on full blast, and I felt so much better after I did that. And then I realized, “Oh, that was really not the way to handle that.” Right? Because it’s in public and now I look like the crazy author who can’t take criticism, and at the time, I thought, “This is wrong.” And I wrote a very long response about all the reasons why I thought his criticism was incorrect. I tried to prove that I was right. I did all the things that now, with another whatever it is, seven years of maturation, and a lot of experience now in this side of the business as a customer experience consultant for a lot of companies, realized how wrong I was. And so, one of the things I like about this book is that I have had to learn a lot of these lessons myself the hard way, so hopefully I can help other people from stepping into the same bear traps that I’ve stepped into. 27:56 Patrick O’Keefe: And in this quote, you were talking about social media, maybe not so much online communities full of other customers interacting with one another, but it’s still interesting because I and many others in the space try to push the idea that community is not just a way for you to save money by offloading work onto volunteers and eliminating employees, but that community makes you more money by driving advocacy, loyalty, and increasing the lifetime value of a customer. I believe personally that this is a more sustainable model and your book seems to support this. 28:23 Jay Baer: Absolutely. There’s no question that it’s less expensive to interact with a customer in social or in a community than it is to interact with them via email or phone. That’s not a debatable point. But what we’re seeing today is that customers… Because there’s a lot of lack of clarity between channels and there’s not much unification between channels and unifying your data, as in my recommendations in the book, so when somebody calls, they know who you are. When they tweet you, they also know who you are. And right now, that doesn’t happen very often, it gets really messy. What happens today is somebody calls and they didn’t like the answer, so now they tweet. Or they email and it takes you too long to respond to the email, so now they go to Facebook or they post on a forum. And so, what used to be one customer contact, now becomes two, three, four, because channels proliferate and consumers will keep selecting different channels until they get the answer they want to hear. And so, you don’t see call deflection. 29:11 Jay Baer: You just see call accumulation, contact growth, but it’s spread over more places. And so that’s really difficult and that’s one of the things that’s very, very disruptive about customer service today. But I concur, that while eventually, you’ll start to see some cost efficiencies as people start to use online channels, social media and beyond as their primary point of contact instead of secondary, there will be some cost savings for organizations. But that’s not why you should do it. Right? It’s not like, “Hey, let’s do this so we can spend less time in customer service.” It’s, “Hey, let’s do this so that customers have a better experience with us.” And frankly, right now, the opportunity is, “Let’s do this because our competitors aren’t and we can use this as a differentiation strategy to say, ‘Hey, the guys down the street, they want your money but they don’t care about you. We want your money and we care about you, so you should work with us. '” Customer service is a legitimate differentiator right now. Communities are, of course, part of that. 30:40 Jay Baer: I think it clearly depends on the company and its culture and how it thinks about resources and resource application. I will say it this way, the best companies at customer service view customer interaction as something greater than transactional. 30:55 Jay Baer: And when you think about that, when you think of support as just a conversation that plays out incrementally over a long period of time? To me, that sounds an awful lot like what communities do. For so long, for decades and decades and decades, we’ve thought of customer service as a necessary evil. We’ve thought of it as an expense. And we’ve thought of it as nothing but a series of expensive transactions. And now that it’s in public, and you can actually have public threaded back and forth conversations that have some level of nuance and depth to them, I think treating customer interaction and customer service as a form of community is, no question, the best practice. It’ll take a while for companies to fully gravitate to that, though. 31:34 Patrick O’Keefe: Jay, thank you for coming on the show. 31:35 Jay Baer: My pleasure. Let’s do it again some time. 31:37 Patrick O’Keefe: I’m sure we will. [chuckle] Another four or five years. 31:39 Jay Baer: The next February 29th, that’s what we should do. That’ll be our thing. Every four years, I’m doing this show on a leap year. 31:46 Jay Baer: Of course. We gotta do that. Anytime. What do you want to talk about? 31:53 Patrick O’Keefe: We’ve been talking with Jay Baer, the Founder of Convince & Convert, at convinceandconvert.com. His new book about modern customer service, Hug Your Haters, is now available. Pick it up at hugyourhaters.com. This has been Community Signal. Visit our website at communitysignal.com for subscription options and more. Community Signal is produced by Karn Broad, and I’m Patrick O’Keefe. We’ll see you next time.